Billy Mathews did well at the Daytona 200, on the beach. He was originally from Hamilton, ON, but ended up in Vancouver for a while. I need to get back to this newspaper. They covered racing well back in 1969. There seemed to be about three big races in Salt Lake City during the hey day of the CAMRA circuit: Intermountain, Copper Classic and Race-O-Rama. More information pulled from the Google newspaper archive. From the 1969 Deseret News. This is ambitious. A long movie. But it is Xmas morning so you might have nothing to do. When you pick yourself up off the floor from laughing give the show a look. The Fast and the Furious. I see names like Roger Corman and Chet Baker associated with it. Corman was the king of the drive-in flicks in the 1960s. And Chet Baker is a legend in the jazz world. And the sports car theme goes well with the Rip Kirby sports car comic strip story. Been a while. And it took the internet to help find me a long story to get interested in. Rip Kirby. One of those strips I didn't pay attention to back when I was a kid. Not enough action I suppose. More about Rip and original artist Alex Raymond here. Not sure if he did the work on this story or just had his name attached to it. Anyway, I see it's called "International Incident". This brings back some misspent Saturday mornings. A friend and I cheered for the cats. Of course, the stories were always "rigged" for the mice. A couple clippings from Alberta concerning the exploits of the motorcycling world. Vancouver's Trev Deeley is mentioned in the Montana race report. Eugene Thiessen raced a Chilliwack, BC, a number of times. And he won there as well. Some information on the Model T races held in Alberta. They started during the Second World War and lasted until about 1951. Saskatchewan also held them. One race had a four page spread the day before the Labour Day race. Some newspapers are getting their microfilm digitized. Guaranteed this is a good thing. Not perfect yet but not having to cross town for some of these is great. A couple from the Regina Morning Post (or Leader-Post, depending on era). I wouldn't mind trying an "Old Bohemian Style Lager" right now. I thought I did this one but can't find it listed. So, here is the 1933 IMCA stuff from Regina. I know, I'm slow, I'm late, it's Christmas, I got no excuses. Finishing the 1965 Brock Yates look at sprint cars. Brock Yates has lots of opinions on lots of racing things. This story was from January, 1965. Marty White qualified 2nd quick for the day. He is introduced as being from Washington state but he's actually from Kamloops, BC, by way of Langley Speedway. He was in a car from Maple Valley, WA. 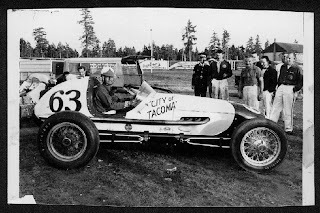 I was asked for what I knew about the "big car" (sprint car) champions from the northwest over the years. Here's a little of what I know. Last bit of info I have for the 1960 season around the Greater Vancouver area. Another installment of 1960 motorsport from the Greater Vancouver area. Some more motorsport from 1960. Some other forms of racing that happened in 1960. 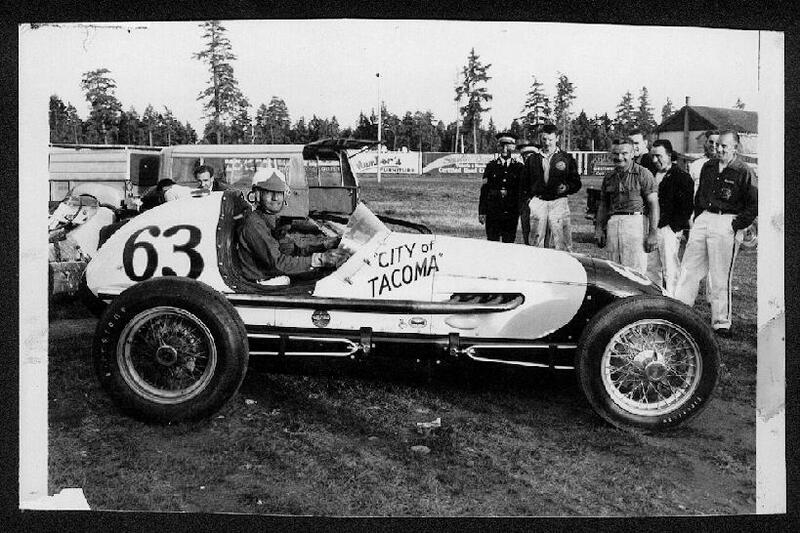 Made an appearance at Langford Speedway, in Victoria, around 1948. Third installment of the 1960 oval racing clippings. A pair of midget events occurred at False Creek in 1960. The Bob "Cregg" mentioned is actually Bob Gregg, who you can find more about by clicking his tag over on the left. Some more 1960 stuff, mainly False Creek Speedway. 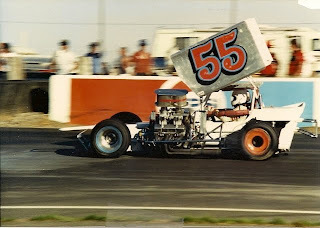 I have indications, and a tiny morsel of a result, that Haney Speedway was in operation, but it definitely wasn't making it into the newspapers more than once or twice.